By Zondervan Bibles is a brand new hybrid study bible featuring the NIV version with study notes and features to guide bible students and believers at all levels of their faith. This retro themed bible features two tones styled graphics in bold, bright yellow-lemon and blue throughout. Featured are articles about archeology, culture as well as bible application principles at how God's word can apply to how the reader can live out the word of God. There are articles that answer basic questions about the bible and about advanced theological and philosophical questions as well. The bible is not just an abstract concept, but rather can be applied to everyday life. The study notes on the bottom, that elaborate on selected verses are easy to understand, relevant and applicable to everyday life. The articles within the text, are well rounded and cover a wide variety of topics to appeal to all readers and are not limited to specific narrow topics. The versatility of topics makes this bible a perfect choice for long term use- a bible that the reader will not quickly outgrow. This bible features a hardcover with a durable binding and removable jacket cover. The binding lays flat and will hold up to years of use. The binding looks sturdy and well made. The comfort print is modern and the comfort print text of the bible is in bold font and stand out from the text of the articles which is printed in a standard type of font. This gives some of the page spreads of some of the bible pages more of a magazine type of appearance due to the different font styles and graphics featured. For those who prefer a more traditional type of font, the comfort print font, might seem unfamiliar and too modern for a bible. As a blogger for Booklook I received a copy of this bible for the purpose of writing this review. By Warren Wiersbe is a beautiful new bible featuring a beautifully bound flexible sturdy cover, and quality binding to stand up to years of wear for everyday use. 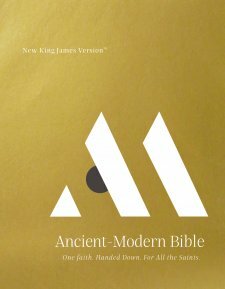 This quality bible features the New king James Version Text of the bible side by side the trusted study features of Warren Wiersbe. If choosing a study bible for daily reading as well as for indepth spiritual growth, this is the only bible you need. The larger font makes this bible a perfect choice for daily reading as it is easy to read unlike so many bible with very small difficult to read font. Basically I feel if the font of the bible text is too small as to interfere with comfortable bible reading, it basically makes the bible useless. The only change I would make with this bible is to offer it in the NIV version in addition to the NKJV. In my opinion, the NIV is also widely read and also respected. Many readers trust and understand the NIV bible. Therefore I feel the publishers should consider offering this in a NIV version as well at least to give an option to readers. Other than expanding the available options of versions, I feel this bible is a great study tool. The mix between study features and formatting is perfectly combined to make a good study experience for daily reading. Also included are a concordance as well. As a blogger for booklook I received a copy of this bible for the purpose of writing this review. 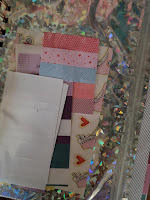 As a vintage sticker collector with a collection from the 1980s, I was really excited to learn of Pipsticks and their planners as well. I even started my own sticker club in the 1980s too, with just a few of my friends. Of course, the new Workman planners would be something I would want to have to use to organize my schedule. 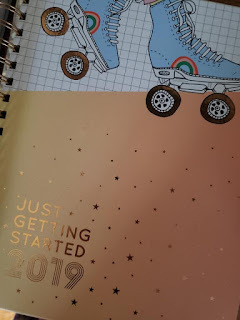 The Just Getting Started 2019 planner published by PIPSTICKS Workman publishers is the newest edition of the Pipsticks Workman planners.his large sized, hard cover spiral bound planner is perfect for all ages, from teenagers to even grown career women in their 40s. With the retro themed cartoons mature women born in the 70s will appreciate the colorful, simple, line drawings of vintage cord styled telephones, cassette tapes, roller skates, vintage styled bikes, and old black vinyl records that require a record player. The simple stickers of dream catchers, mushrooms, vintage coin purse, coffee cups and mixers will appeal to the baby boomer women. These familiar memorabilia will allow women to reminisce and relive their 80s youth as they fill their busy schedules. While appealing to older women, the colorful art will draw in the younger customers who will use this planner for school assignments and after school activities as well. his large sized, hard cover spiral bound planner is perfect for all ages, from teenagers to even grown career women in their 40s. With the retro themed cartoons mature women born in the 70s will appreciate the colorful, simple, line drawings of vintage cord styled telephones, cassette tapes, roller skates, vintage styled bikes, and old black vinyl records that require a record player. The simple stickers of dream catchers, mushrooms, vintage coin purse, coffee cups and mixers will appeal to the baby boomer women. These familiar memorabilia will allow women to reminisce and relive their 80s youth as they fill their busy schedules. While appealing to older women, the colorful art will draw in the younger customers who will use this planner for school assignments and after school activities as well. 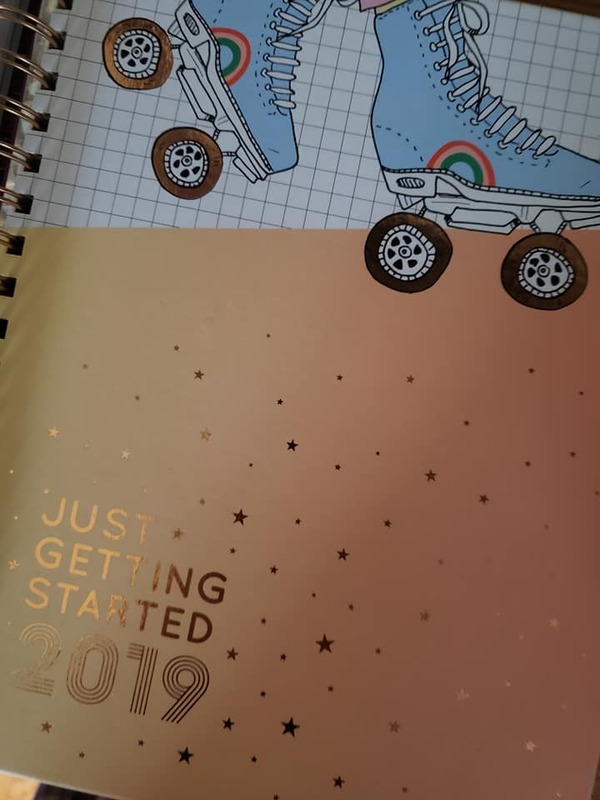 I purchased this planner from Amazon when it went on clearance sale. I felt it was well worth the clearance purchase price when I purchased it online from Amazon for under $15. However I do not feel the quality was worth the full retail sales price of $29.99. With the retro themed cartoons, graphics and stickers, adults- "grown", "mature" and older women born in the 70s, as well as the younger generation will appreciate the vintage styled telephones, cassette tapes, roller skates and depictions of antique black vinyl records. Familiar memorabilia will allow older career women reminisce and relive their youth, while allowing teens, young career women and college students, to daydream of the vintage 1980s. For some reason, the 80s has the effectiveness in sales to the bridge the age gap across the generations in marketing any product from clothing to office products. Looks can be deceiving, this planner is great for people of all ages, not just those who are young! mature women born in the 70s will appreciate the colorful, simple, line drawings of vintage cord styled telephones, cassette tapes, roller skates, vintage styled bikes, and old black vinyl records that require a record player. The simple stickers of dream catchers, mushrooms, vintage coin purse, coffee cups and mixers will appeal to the baby boomer women. These familiar memorabilia will allow women to reminisce and relive their 80s youth as they fill their busy schedules. While appealing to older women, the colorful art will draw in the younger customers who will use this planner for school assignments and after school activities as well.The cover is sturdy and will hold up after wear and tear from daily use. The golden toned coils are a nice, sophisticated touch. The matte pages work well with any pen or pencil. Nevertheless, the pages reminded me of ordinary photo -copy paper. There are many additional fun features included to break up the monotony of even the most boring of any eight hour work or school day. There is a holographic storage pocket. However, the pocket is thin like cellophane which gives it a crinkly nostalgic party like feeling. The press and seal mechanism seems flimsy as well. Included in the pocket are small colorful post it notes which are bright, cheerful as well as very useful. There is also a decorative postcard as well. There are six pages of stickers. They are themed based on season and other themes. The art is cheerful. Nevertheless, the colors are basic as if from a photocopier for an overall retro theme. The color tones are faded as well. The stickers are matte and thin, not at all like the traditional glossy stickers you might expect. This fits in well with the paper texture of the planner. 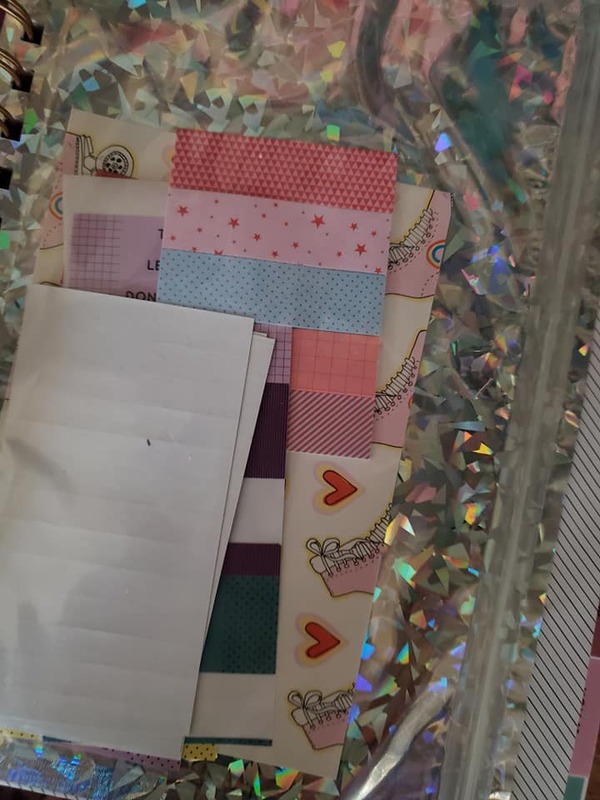 The stickers also include a lot of small, filler, scrap type stickers that could be used for "bullet" styled note-taking and highlighting events or notes. This will appeal to scrap-bookers especially. Be careful to allow for time and working space when using these, when actually used, these tiny geometric stickers are very thin and are for fine detailed intricate designs for those who care to take the time to really designs their planners. However I did not find these microscopic sticker shards useful. These were more like sticker scraps with no actual use or purpose. In actuality, when used for the planner, I found these small sized pieces of sticky paper made a huge mess. I wound up throwing them all into the trash in frustration, as they all became stuck to my fingers rather than onto the paper. Personally, I found them to be useless filler and feel they should be omitted from the sticker package altogether as they are useless. 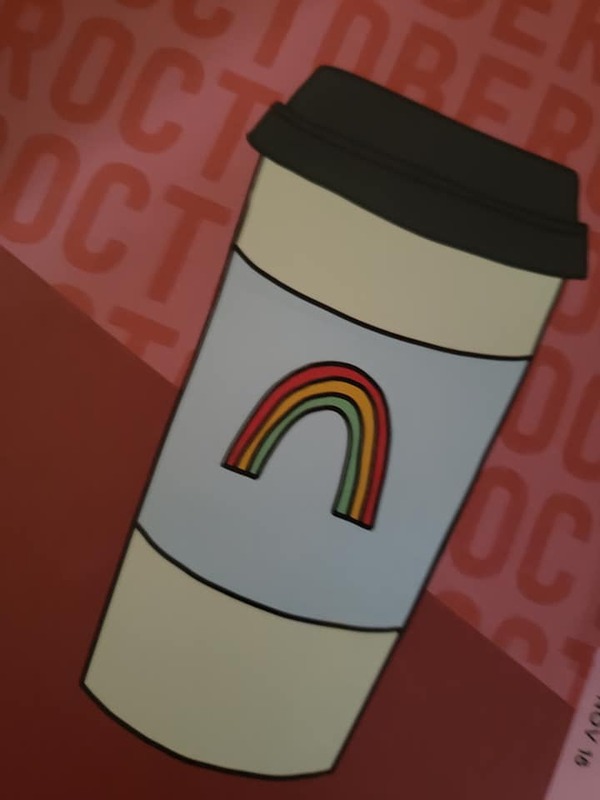 I found that there were many other stickers that were pretty ambiguous and seemed to serve no other purpose other than as filler. Out of all the sheets of stickers, I would say a small handful of the printed stickers were actually useful. The remainder were simply scrap type of stickers or simply an abundance of repetitious "To Do" or "Don't Forget" or "Let's eat" stickers which served little purpose. Overall, I enjoyed this planner, but was but was underwhelmed by the overall quality. While many features were impressive, I felt that some features did not meet my expectation. My particular planner came with a publishing defect in the cover. I did not notice it until I started using it. The cover was misaligned when fitted with the coils. The top edge of the cover tore off due to the misalignment. It is a very minor issue only affecting the tip upper left corner near the corner. Considering I paid the clearance price and had already been using the planner, I was not upset. Had I paid full price I would have returned the planner for an exchange. Nevertheless for the clearance price, I felt satisfied with this planner. I feel the quality is what I expect from independent publishing houses. Having worked with independent publishing companies/ self publishers, I know the comparisons with self publishers in contrast to more established publishing companies. I feel those who opt to pay the full retail price for Pipsticks Workmans Planners will set themselves up to be underwhelmed and not too happy with the quality for the price they have paid. True, this planner was filled with the unexpected, but the quality could have been a little better for the full retail price. For those waiting for the 2020 planner, its worth the wait for for the clearance sale. Morning and Evening Prayerbook by Jeanie and David Gushee is a compendium of prayers collected from a variety of sources from the Catholic and Protestant churches. This exhaustive compilation includes prayers from Catholic popes such as Pope John Paul II and Catholic saints such as Francis of Assisi and therese of Lisieux as well as ancient forefathers such as Martin Luther, Charles Spurgeon, Aquinas and Augustine. Also included are prayers from well known authors of literature, Mark Twain, and Ralph Waldo Emerson. There are prayers from the first century Christians as well as modern day authors, including a few contemporary prayers from the Gushees. As I turned to October 31- out of curiosity to see the selected prayer, it was a pleasant suprise to see a Halloween themed- traditional Scottish prayer for the evening selection: "From ghoulies and ghosties and long- leggity beasties, and all things that go bump in the night, Good Lord, deliver us!". There are two prayers selected for each of the 365 days of the year: a morning and evening prayer. Also included are seasonal themed prayers that correspond to the liturgical calendar of "Movable Holy Days" and seasons such as Ash Wednesday, Maundy Thursday, Palm Sunday, Advent, Ordinary Time and Lent. There may be many non denomindational or independant bible students and believers who may not understand these references- celebrated by the Catholic church and its "main stream" off shoots, as many non denominational or independantg churches simply do not recognise or celebrate some of these days. Or perhaps they do not use the Roman Catholic terminology. Nevertheless I do not feel that the inclusion of this calendar or its references detract from the overall purpose of this book. Also included are traditional religious artwork as an additional ornamental touch. Initially, based on the appearance of this book I assumed it was just another debotional book- filled with prayers or devotions written by the Gushee couple. But this was not the case. This prayer book is a good resource. It may serve as an encycopedia of prayers throughout Christianity. The prayer book is well suited for the theological student as well as an individual who appreciates prayers throughout historical periods. This book is also perfect for personal devotions or study. The reader should keep in mind some of the old English styled translations of the more ancient prayers may be difficult for some uneducated readers to follow or understand. Yet I feel the varied "voices" and styles make this the unique aqnd original prayer book that sets it apart from the saturated market of simplistic modern prayers that are so common today. As a blogger for booklook I received this book from Thomas Nelson Publishers for the purpose of writing this review. The Inspire Catholic Bible NLT is a beautifully bound hardcover version of the New Living Translation, featuring, black and white vintage styled art and graphics. The satin finish pink hardcover is beautiful yet sturdy enough to last for home devotional use and for carrying around. The interior features beautifully drawn bible verses scattered through out as well as subtle lines to allow for writing in the margins. Personally I found the vintage styled art beautiful in black and white, although the art is meant to be colored using colored pencils or markers. The journal space allows plenty of room for notes or additional artistic expression. The lines are subtle enough that they may be left blank for those who choose not to personalize this bible with art or writing noted. Either way whether you choose to personalize the bible by coloring the art, and adding noted, or simply appreciating this bible as is, you will not be disappointing by the beauty of this bible. This bible is a Catholic edition in that it includes additional apocryphal books of the bible not originally considered inspired but instead are of historical significance to the early development of the catholic church. If the inclusion of these additional books offends you, then you might not be pleased with this Catholic version of the Inspire NLT bible. Otherwise, this bible is appropriate for all denominations to read, and not exclusive to the Catholic church. As a blogger for Tyndale I received a copy of this bible for the purpose of writing this review. By Dr. David Jeremiah is a brand new book to inspire and encourage Christians as they face problems in life. The author Dr. Jeremiah acknowledges that just because you are born again, that life's problems and challenges don't simply disappear. This book goes through detail how to overcome challenges and obstacles. The author addresses fears of death, anxiety, weakness, honesty as well as other issues that are frequently stumbling blocks. Using personal anecdotes as well as inspirational true stories from accounts that he has collected over the years, this book shows how ordinary people can display strength through the Holy Spirit to overcome any obstacle or challenge. Essentially this book shows the reader there is nothing to big for God to handle. Even in a seemingly hopeless situation, there is always a lesson to learn and a way to overcome. This book is a perfect outreach opportunity to give to anyone who may be struggling with life. As a blogger I received this book published by Thomas Nelson publishers for the purpose of writing this review. The NKJV Spirit Filled life bible is the newly revised edition of the original. This new edition features full color graphics to place emphasis on the study features. This themed bible places emphasis on spiritual gifts and is consistent charismatic Christian tradition which places emphasis on modern day spiritual gifts such as tongues. This issue of spiritual gifts is divisive enough to cause distinct denominations within the Christian church. Nevertheless, the ideas of spiritual gifts is not a major doctrine and therefore not an issue of theology that is fundamental to faith. The idea behind charismatic believers is that the gift of tongues and other physical miracles from the ancient church and apostles is still available today to all believers. And then there are bible believers who are just as solid in their faith who believe that these spiritual signs are no longer available having served their purpose in the early church and Jesus' lifetime and that Jesus is the only testimony we need. Furthermore, charismatic churches believe in a second "installment" or "infusion" of the Holy Spirit distinct from what the believer receives when he is born again. These concepts are very well explained in the articles and reference materials in the back of this bible. Basically anything you wanted to know about the history and biblical roots of the charismatic movement is here in this bible! This bible is like Charismatics 101- an introductory course as well as more advanced indepth material as well. Within the bible text there are sidebars of information clearly designated from the bible text. The reader will find concepts such as "Word Wealth" and "Kingdom Dynamic" which provides more information and expands on biblical concepts, theology and terminology. The end of the bible books include "Truth in Action" charts as well. All these helps draw the reader into a deeper understanding of the bible and its message. Word Wealth is basically like a dictionary, defining a specific word or concept. There are also maps and charts throughout. The subtle insertion of color breaks up the monotony of the columns and sets apart the biblical helps. This bible is a great choice for those who wish to build their faith. I would like to see this bible in the NIV or NLT version as well for those who prefer reading a more modern translation. As a blogger for Book Look bloggers I received a copy of this bible for the purpose of writing this review. Mark Hitchcock published by Tyndale publishers is a newly published guide written for everyone, Christian and non Christians alike. 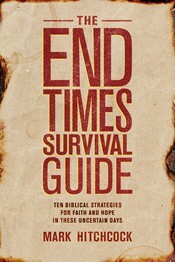 This guidebook is a resource to any reader about what to expect in the end times based on the bible accounts and prophetic words. In simple to understand language, the author, Mark Hitchcock, applies current events and observations and connects them to biblical prophecy. This book helps the reader with an explanation as to why things occur as evidenced by world and political events as well as environmental events. This book provides the key for this generation to understanding the end times in the context of what is actually happening now. Rather than the events of revelation and the bible appearing to be an abstract, fictitious account, the author shows the relevancy as well as urgency of applying biblical principles and prophecy to one's own individual life. This book adds credibility to biblical authority for today's apathetic and unbelieving generation as well as the Christians of today. This book delivers an important message. For anyone truly interested in learning about how Revelation and prophecy applies to our modern days, this book is essential. As a blogger I received a copy of this book for the purpose of writing this review. 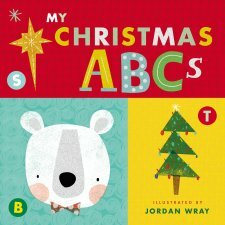 My Christmas ABCs (An Alphabet Book) By Tommy Nelson Books is a beautiful, yet sturdy boardbook, perfect for young children to integrate learning the alphabet with the Christmas season. The book is illustrated by Jordan Wray. Full color illustrations feature colorful, sparkling glitter. The alphabet is features alongside a colorful Christmas themed illustration. There is Wiseman for W, Tree for T, and Candycane for the letter C. This quick little book can either be read to children or read by young readers in kindergarten or preschool. This would make a perfect gift for a Christmas stocking or as part of a Christmas gift for any child. As a blogger for Booklook bloggers I received a copy of this book for the purpose of writing this review. NKJV, Ancient-Modern Bible, Hardcover, Comfort Print One faith. Handed down. For all the saints. By Thomas Nelson Bibles is a beautifully bound bible encased in a hard bound slipcover. This bible is smaller sized with a small font, making it more of a personal sized bible that is easy to carry. This New King James version bible features a new "comfort print" style of font. The bible features historical excerpts and passages as full length articles. The excepts from well known theologians, philosophers and Christian thinkers are located in the side bars separate from the main text of the bible. This is a beautiful and useful bible. The only downside is the extremely tiny font which makes it difficult to read even with the "comfort print". For this reason I don't see this as a bible I will read frequently. This bible would be perfect if it was in a larger scale, bigger with a larger font. In the end, the usefulness of a bible depends on practical details such as font size and readability. Simply put, this bible hurts my eyes to read. This is not going to be an issue for most readers, but it is something to consider if font size makes a difference. As a blogger for Booklook I received a copy of this bible published by Thomas Nelson for the purpose of writing this review. 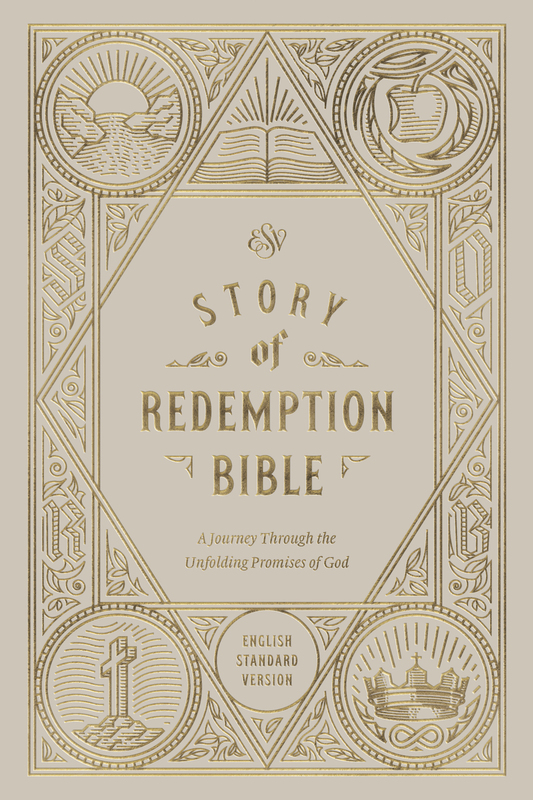 The ESV version of the Story of Redemption Bible is a beautifully presented bible featuring the trust worthy, accurate ESV translation. The pages are thick, off white with an easy to read font size in paragraph format. Two tone illustrations are featured at the start of each book. Within the text, are separate passages offering insight into the biblical text. This useful and accessible bible encourages daily bible reading in a format reminiscent of a novel. The off white pages and gold toned accent color gives this bible an authentic antique heirloom appearance. This sturdy bound bible will last through years of use. The beautiful presentation pages would make this perfect to give as a treasured gift. This bible is not the typical study bible format and is a good outreach to those who don't frequently read the bible. The minimalist designs will appear to readers of all ages. As a blogger for Crossway, I received this book for the purpose of writing this review. Published by Thomas Nelson is a new book based on the well known inspirational song writer Bart Millard's music. The picture book is filled with colorful, bold illustrations that will introduce young children to the concept of heaven in simple understandable terms. 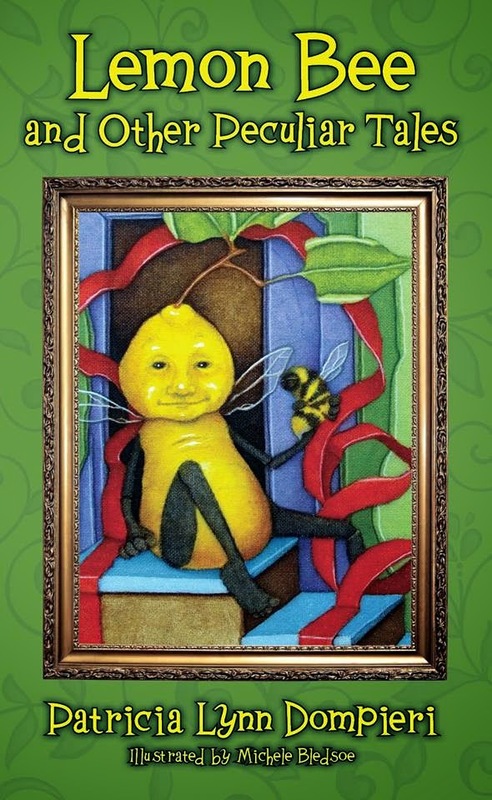 Each page spread of this picture book, assists in encouraging a child to imagine what heaven would be like. Based on everyday experiences, a child is encouraged to imagine "what if" scenarios based on pleasant experiences. While the ideas may seem simplistic and grounded based on worldly experiences, this book makes a good spring board for a discussion about heaven, death and faith. This book will appeal to families who have a basic understanding of bible concepts. I feel this book reinforces stereotypes of what heaven may be like. Nevertheless the significance of this book is that it will encourage young readers and families to explore their own views of heaven and possibly to seek out the truth based what the bible has to say about heaven. 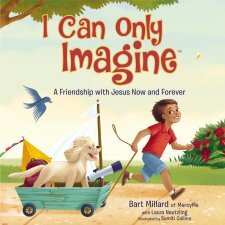 I feel this picture book will create a yearning for some readers and even their parents to learn even more about heaven. As a blogger for BookLook I recived a copy of this book for the copy of writing this review. 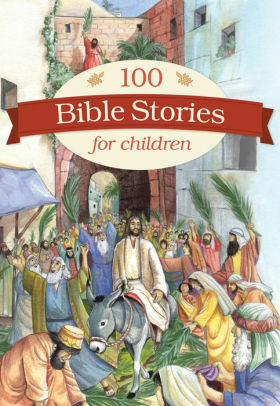 100 Bible Stories for Children is a brand new bible story book featuring beautifully crated illustrations along side bible stories based on the bible. This beautifully presented bible story books is a simple, traditional bible story book that gives the bible the dignity it merits. Unlike many modern bible story books featuring brightly colored cartoon styled art, this bible features traditional, expressive artwork in subdued colors. The stories are truth and faithful to scripture, without over simplification. The text combined authenticity with God's word, simplified just enough for even the youngest of children to understand, without altering or changing the biblical message. For parents who want a faithful and true account of the bible for their children, this is the perfect choice. In spiritual terms, it is definitely a watered down, lukewarm version of the bible as many newly published storybook bibles on the market. This bible story book is a return to traditional bible teaching, something that is needed very much especially for today's generation who seek to return back to the truth of the bible. This bible story book is perfect for adults and parents to read to children of all ages. The durable binding will stand up to years of use, as well as the thick pages. The ribbon bookmarker is a nice touch to keep your place. This bible can be read from start to finish or you can go directly to a particular bible story independently. As a blogger for Tyndale I received a copy of this book for the purpose of writing this review. 365 Questions for a Woman's Soul: With Answers from God's Heart by Katherine J. Butler, with contributions by Ronald A. Beers and Amy Mason is a brand new pocket sized book filled with spiritual answers that one can turn to in any time of need. This beautiful book features a flexible, textured leatherette cover, with a serene imprint of a solitary leaf. This inviting volume, s small enough to carry in your purse, backpack or to leave on the nightstand beside your bed. This book is versatile as it can be used as a daily devotional, or it may be used as needed depending on the topic or need. This book is similar to the "where to turn to" feature that is included in traditional bibles. Fr each topic such as anxiety, anger, worry, or jealousy, there are applicable verses, as well as a short devotional ad prayer prompts. This book is like having a spiritual mentor at your side to assist in any needs. The authors have gleaned and pruned from the bible, a biblical verse for every need. This particular prayer book is specifically for women, addressing the topics that are more common to women. 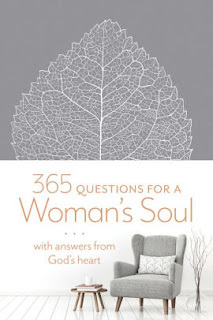 Nevertheless, unlike many devotional or prayer books that are dedicated to women's needs, this particular book is full of spiritual substance, and does not address superficial issues that seem all too commonplace these days in books geared for women. I believe that this book has the ability to offer relief and spiritual strength. It is a resource t turn to not just once but everyday and as needed. As a blogger for Tyndale I received a copy of this book for the purpose of writing this review.